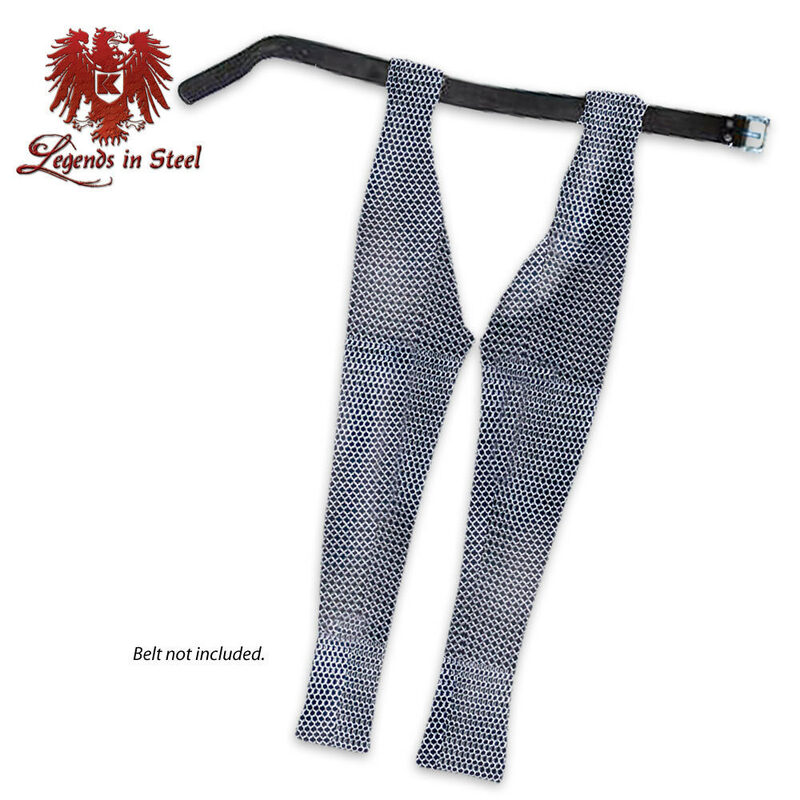 Chainmail chausses, or leggings, were one of the earliest forms of leg armor that provided substantial protection from bladed weapons. This version covers the front of both thighs and the front and back of the lower leg. It is constructed with zinc-plated 18 gauge steel in the traditional 4-in-1 linked pattern. Belt sold separately. As a warning, these seem pretty long and hang pretty low. The construction is impeccable though, so a nice find if you have longer legs, or if you are willing to do a little tinkering with the rings.